What is the first thing you do as soon as you open your eyes each day? Do you start your day with something positive, or something negative? 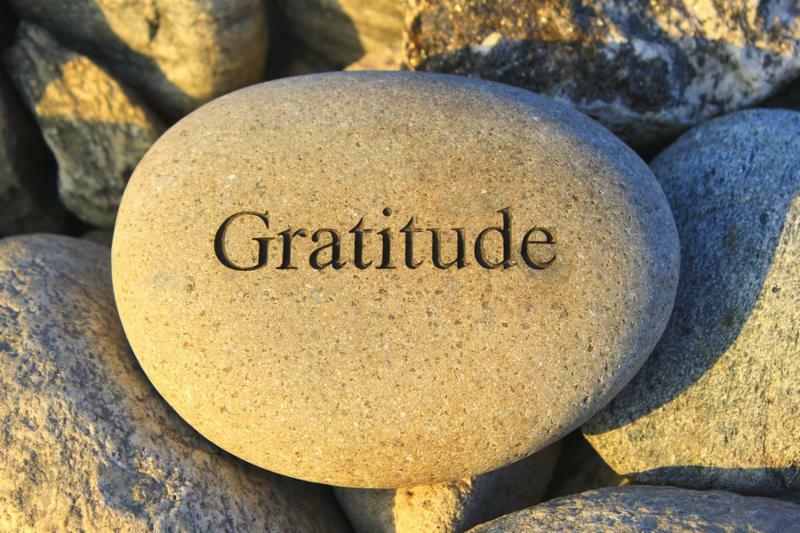 Each day we have the opportunity to start our day off in a positive way by expressing gratitude. Gratitude is really about expressing thankfulness for what we already have in our life. Living a life of Gratitude is something that you can teach yourself to include and, before you know it, you won’t even have to think about doing it anymore. You will just do it! A habit is formed in 21 days. So, why not form a positive habit to live a life of gratitude? You can do this in a group or individually. Participating in the challenge doesn’t require a special tools. The only requirement is a desire to make a positive difference in your life. Commit to the challenge, by just telling yourself you will do the best you can. Ideally, you would do something every day for the 21 days. But, if you miss a day here or there that is okay. As long as you are trying you are already succeeding in taking steps to live a life of gratitude. Before starting the challenge, I want you to write a note to yourself that you will open on the 21st day of the challenge. You can write about what you hope to learn or become enlightened about on this 3 week journey. You can write what you would like to do as an expression of gratitude on the last day of the challenge, or a reminder of why you did the challenge, or the promise to continue to live a life of gratitude after the challenge. It can even be a thank you note to yourself for completing the challenge. The letter can include anything you want, it can be a sentence or a paragraph. Once you write it, seal it and place it somewhere safe and don’t open it until the last day of the challenge. Here are 21 ideas for how you can partake in this life changing challenge! You can do all of them, one of them or pick and choose the ones that work for the areas of your life. Remember the more you give of yourself to this journey the more you are going to get out of it at the end. What you do with it is up to you. Keep a Gratitude Journal: For 21 days, keep track of all the things you are grateful for in your life. Then, at the end of the 21 days, review what you have written over the 3 weeks and watch how in that time you have received additional blessings in those areas. Express gratitude when a stranger does something nice for you like hold open a door, or allows you to go in front of them, then pass along that gratitude and do the same for a stranger. Hold a 5 minutes or less gratitude session with yourself. By simply taking a few minutes a day to express your gratitude to yourself, God, Source, Universe, etc. you are keeping that positive exchange of energy increasing the overall wellbeing of your mind, body, spirt. Create a Gratitude affirmation for something you are struggling with, and for 21 days recite the affirmation daily, and whenever you may be thinking about the problem. Post only positive articles, photos, messages etc. on your social media for 21 days. Say a Gratitude prayer daily. There are both really good religious and non-religious prayers available on the internet. The key is to pick the one that resonates with you the most. You can even just pray and praise God, Universe or Source for what is in your life. Express thanks to the people in your life who make a positive impact. Express Gratitude for something that didn’t go your way, only for you to realize that you had something better in store for you. Pick a different topic for each day and express to yourself and others something you are grateful for regarding that topic. For example, health, wisdom, friendship, family, your spiritual path, etc. Heard of Vision Board? Why not make a Gratitude Board! Take a poster board and place images of everything you are grateful for and look at it every day for 21days to remind you of all the wonderful things you have in your life. Does music inspire you to have a grateful attitude? Make a playlist with your favorite tunes to listen to throughout the day to keep your mind and soul thankful. Looking to create a better relationship with food? Expressing gratitude for the nutritious food you have access to before each meal will help you reinforce making healthy food choices to fuel your body and not feed your emotions. If you are in a relationship, do the challenge together with your partner and, each day, share something about why you are grateful for the other person. Find unique ways to share the experience with your partner, through thank you cards, sticky notes, a note on a napkin they will see later in the day. Be creative and have fun with this one and watch how at the end of the challenge your relationship is that much stronger and you are able to express gratitude more easily with each other in a language you can both understand. You can also do this particular exercise with your children as well and engage them in process of expressing gratefulness. Passing the gratefulness at dinner: If you would like to do a family event, have everyone before dinner go around the table, and express what they are grateful for that day. Create a routine of when you first walk up in the morning, before your feet hit the ground, say thank you for the day you are about to have. Then, at the end of the night, while you are getting back in bed, express your thanks again for your day. Here is what I like to say in the morning, “ Thank you God for today, thank you for anointing me with health and allowing me to live today the way you intend for my purpose.” Then at night, I simple restate “ Thank you God for today” then I continue with any evening prayers or things that happened during the day that I am grateful for. Each day our body works hard for us. Yet, how often do we take time to thank it for all it does and not just except it to do what we need it to do. We often don’t realize we take it for granted until we get sick or it stops working at its optimum state. Spend time over the 21 days to thank your body for all it does for you and make a commitment to learn to listen to it better to create a stronger relationship with it so you can continue to be grateful for it far beyond the challenge. Read a book about gratitude and look for ways that you can incorporate the methods you learn into truly living a life of gratitude. There are many books available online about gratitude. Go with your intuition with which one is the one you need. Make a gratitude jar. Have someone really special in your life? Why not write down 21 reasons why you love about them, why you are grateful for them, how amazing they are, and any words of encouragement and place it in a jar and give it to them. This will allow them to pull a small note of gratitude anytime they may need an emotional pick me up. These make great birthday, holiday and “just because” gifts! What if there was one person who knew you in every lifetime you ever lived? They knew your purpose, your flaws and your deepest passions. And, they have been your best friend since the beginning of your soul. Well, there is such a person, your higher self! Your higher self is part of your soul and has been with you through the good and bad, every lesson and heart ache and joyous occasion you have ever experienced. One of the most powerful tools that you can develop at any stage in your spiritual path is to create a relationship with your higher self. 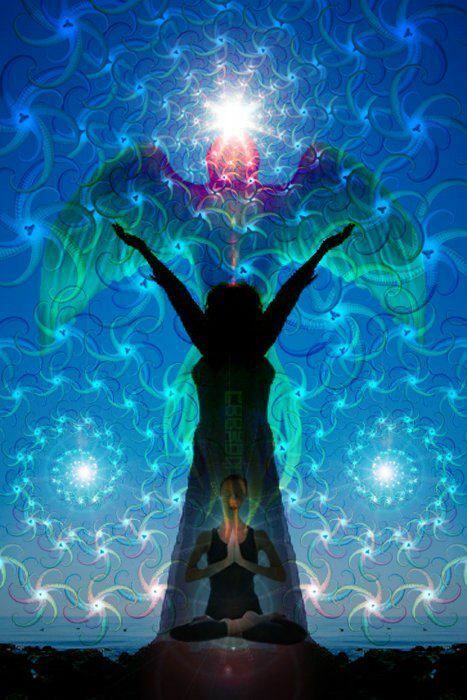 Your higher self is your highest level of connection with the divine source and resides in your Etheric Body. Imagine your higher self as a direct link to universal information specifically related to you, your purpose and life path. It is your total soul consciousness. It knows everything about you from every lifetime you have ever lived and ever will including information on soul contracts and life plans. It is a constant part of your life that you can choose to incorporate into your everyday. Each of us has a higher self, and we all have the ability to work with them, get knowledge and life answers from them. Our highest self has nothing but pure unconditional love for us, which means that nothing but love can exist within that relationship. So, when you are working with that element of yourself, it is important to know that you can trust the guidance and information that is given to you. Where there is pure love, there can be no fear. Therefore, there is no EGO involved when it comes to the workings of the highest self. All the information you receive is coming directly from a pure divine source. Before connecting with your higher self, you should also be open to the fact that your highest self is neither male nor female, but a source that may present themselves to you as either male or female regardless of what gender you are in this lifetime. This means that a female in this lifetime can have a higher self that comes through as male and vice versa. Every human being has male and female energy that resides in our soul. For example, a male that is balanced with his male and female energy will have 60% male energy and 40% female energy roughly, and a female will have 60% female and 40% male energy. Our highest self resonates with all lifetime energies. So, if you are female in this lifetime and your higher self comes through as a male on a soul level you may find that your soul purpose and path has areas that you may need to work on that require more male energy traits. 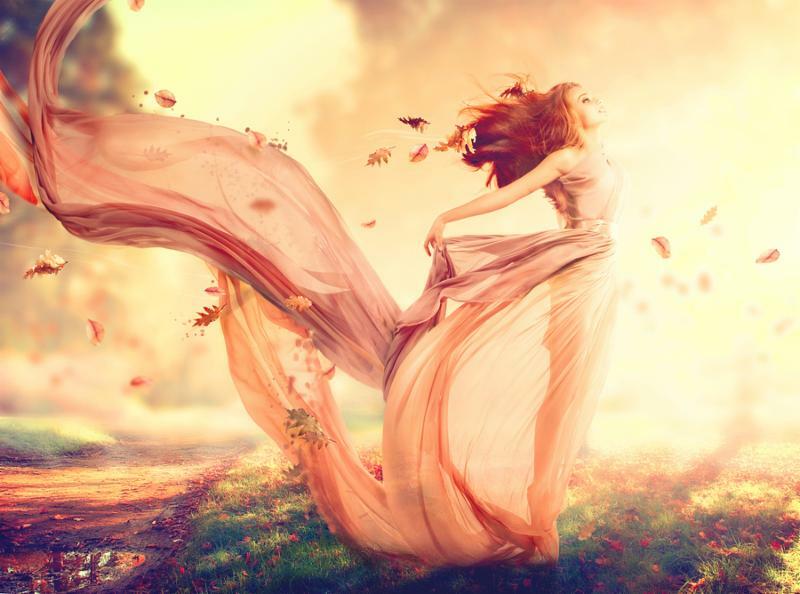 If you are a male in this lifetime and your higher self presents itself as a female, you may find your soul purpose is related to more female energy traits. Here are some traits of male and female energies that may help you relate better to your higher self form. There are a few ways that you can learn how to connect and get to know your higher self, here is a list of some good options for beginning contact with them. Journaling: This is a good method for keeping track of conversations that you may have with your higher self, as well as providing the opportunity to keep track of questions you may want to ask your higher self in future conversations. While writing in your journal you may also get insight from your higher self if you are advanced in contacting your higher self. This method will enable you to, go back and review any information your higher self may have given you that you may find helpful for other areas of your life path. Mindfulness: Being mindful is a conscious decision to be aware of yourself and your actions in the very moment that you are doing them. When you are mindful, you are creating a positive environment for a pure connection with your higher self. By being in the present moment you can allow the noise of your mind to become quiet and review choices you are making and how they affect you on all levels. Dreams: Just as we can receive visitations from past loved ones in dreams, we can receive visitations from our higher self. Setting the intention before you go to sleep to connect and receive information from your higher self will allow the communication to flow in your dreams. When trying to have conversations with your higher self in your dreams, you may want to set specific intentions for your communication in the dream. For example, perhaps you are having a hard time finding out what your life purpose is, or looking to change careers; those are good areas to tell your higher self you need guidance in for that particular dream. Spending time with yourself: Set time aside weekly to do a higher self check in, and what a better way than spending time with yourself. It can be 5 minutes, 30 minutes an hour or in between. But, during this time review the areas you are working on with your higher self. How are you integrating any information your higher self is giving you in to your life? How are the methods you are using working for you? How are you incorporating your higher self more in to your everyday, and where do you need adjustments? These are all questions that you can ask yourself during this time, plus any additional questions you see fit for your relationship with your higher self. By having weekly time, you will be able to track your progress and become more aware of all the layers of your soul, mental, physical and spiritual. Your highest self will often present itself from other religions, races, light forms or ancient civilizations. Growing up I always related to various ancient civilizations that I thought for sure would have been represented when I meet my higher self. I was wrong! The first time I met my higher self was in a soul retrieval session. I was doing some journey work and came across a door that led me into one of the most beautiful rooms I had even seen. It was my inner temple that was filled with shades of reds, golds, purples, blues and so much more. Then, once I became open, my higher self made herself known. On a soul level, my spirit relates to Hinduism and appeared to me with her presence as such. I would never have expected my higher self to be of the Hindu persuasion. But, as I learned more about that culture and my life path, I realized that it makes sense for my soul to resonate with Hinduism. Your higher self wants to connect with you and help guide you. So, now is the time to start forming that connection with the purest divine form of yourself and bring your level of Universal and Self understanding to the ultimate level. But, it can bring your soul a deep sense of overall happiness, spiritual enlightenment, a greater sense and connection with the Creator and the Universe. Meditation is a divine act within itself. When you choose to meditate, you are making a conscious decision to get out of your own head, and get connected to your higher self, God, Spirit Guides, Guardian Angels or all of them. The beautiful thing about meditation is that any one of any age can do it; you do not need special training or anything other than yourself to engage in meditation. It is important that, when you meditate, you remain mindful to the best of your ability. If you are struggling with something in your life like love, family issues, health, business, career changes, and even financial worries, mediation can help you get clear divine answers. Most people I know, including myself, have one major potential problem when they meditate; falling asleep. This is very common, especially as a beginner. There is a fine line between a meditative state, and a sleep state. Don’t become frustrated if this happens to you. I am a big believer that if you fall asleep during your meditation it is for a reason. Many times certain energies can only integrate with your energy and body in a sleep state. Think of it as getting an energy update. Allow it to happen the way it is supposed to and know that you are receiving what you need at that time. You may even find that you receive your answers in your dreams. Once you create a mediation routine or know triggers in your life that would benefit from meditation, you will know that the answers are just some deep breaths away. It may take some practice at first, but before you know it, you will be able to experience deeper meditations. Here are a few simple steps to begin your mediation practice. Find a place you feel safe, comfortable and can relax. This can be in your home, garden or a place you consider sacred. Set your intensions for the meditation session. What are you looking to receive answers to? If you are unsure, ask the Creator or the Universe to tell you what you need to know for the greatest good of your higher self. Start to breathe naturally. Start to remove the distractions in your mind and focus on your breath. Notice how your body moves with each inhale and exhale. With each breath imagine yourself getting more and more connected to the divine. If your mind wanders, simply return your focus back to your breath. Focus on your breath for 2–3 minutes, and then reset your intensions for the session. Stay mindful and open to listening to what comes through for you once in your meditative state. When you believe your meditation session has come to end, slowly start to become more aware of your surroundings, and slowly awakening from mediation. Finally express your gratitude to the Creator, Universe or who you worked with during your mediation. There is no set time for the duration of mediation other than the restrictions that you place on it. Allow the divine to provide you the time you need in order to receive the answers you seek. Once you become more experienced you will find that you can achieve a meditative state and the clarity you need in as little as 10 minutes. You may find that when you first start out, you may only meditate for 2 -3 minutes and that is ok. As you progress, the length of time will expand. Just make sure that when you set the time aside to meditate you can fully dedicate yourself to it without being interrupted. Trust the messages that you receive during your mediation session and trust that they are coming from a purely divine source. It is easy to forget what you experience during your sessions. So, I recommended writing down the your experience, what answers or guidance your received, and how you felt physically and spiritually. Did you feel energy, or visually see images in your mind; could you feel a divine presence? Keep track of these items so you can revisit them later on. It will help you tremendously especially if you are mediating on an issue you plan on doing a lot of work with, such as a health issue, relationship, or life purpose. If writing is not something that comes easily for you, you can always use the voice recorder feature on any smart phone and document your experience that way. 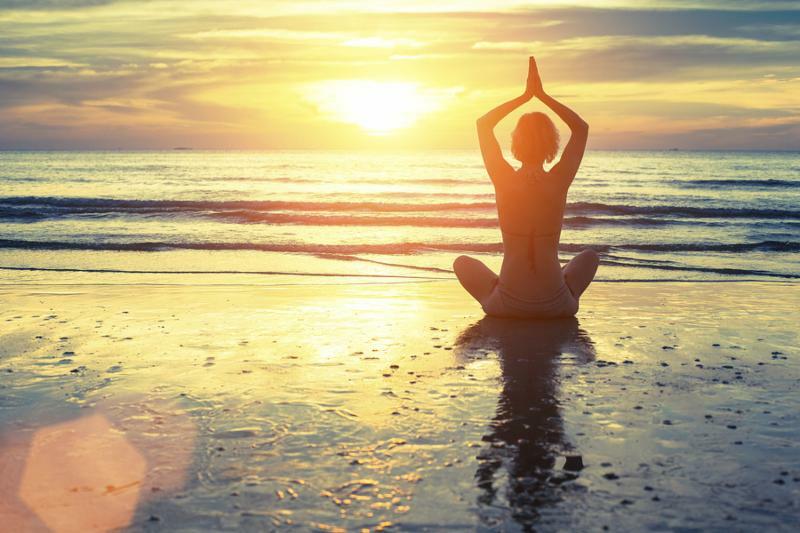 When you embark on your mediation journey, you are making a choice to improve your mind, body and spirit. Make the experience your own, and do what feels right for you, because that is exactly what you are supposed to be doing. Be mindful, listen and embrace the time with the higher source energy.